On the one hand, the concept is executed rather well: high-quality special effects, tolerable acting, etc. 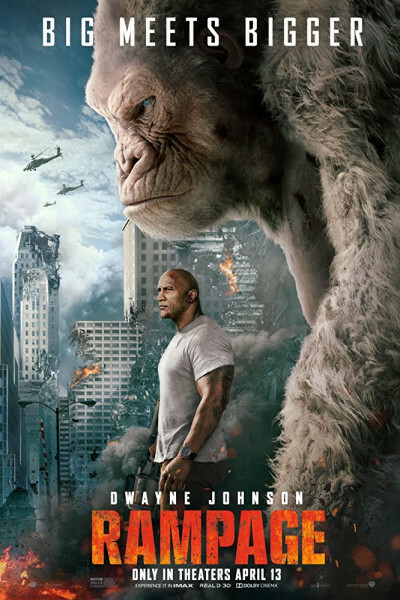 On the other hand, Rampage is based on a video game, so it's fundamentally preposterous. Seeing a large gorilla, enormous wolf, and ginormous alligator destroy Chicago together is, well, just plain stupid. We laughed a lot. Nervously. Embarrassingly. You know, because it's just so gosh darn dumb.